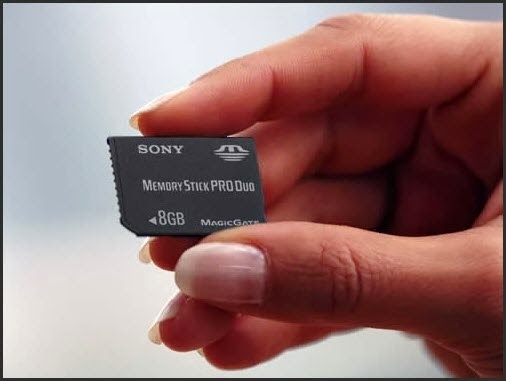 Download Memory Stick Pro Duo Formatter Utility for formatting and repairing Sony Memory Stick Pro ,Pro Duo ,PRO-HG Duo,Sony Memory Stick Micro ,Magic gate Memory stick and many types of memory card.Try Memory Stick Pro Duo Format Utility now , it's free . Memory Stick Pro Duo Formatter Utility is a great free format software that allows you to format many types of memory stick . Memory Stick Pro Duo Format tool can delete the entire contents of your memory stick and make it new like factory restore .Memory Stick Formatter Utility fix most of memory stick problems such as " when your PC can't recognize your memory stick so we will make formatting for this memory stick and will be repaired again and become a new one . Also Memory Stick Format Utility can remove the write protection for your memory stick .If you will use Memory Stick Format software , you must remember that all your stored data will be erased while formatting your Memory stick .Memory Stick Pro Duo Formatter Utility also called "Sony Memory stick formatter software " . Sony Memory Stick without Magic Gate . Sony Memory Stick with Magic Gate . Sony Memory Stick Duo "with and without Magic Gate" . Magic Gate Memory stick ,Duo . How to format a corrupted Memory stick with Memory Stick Format utility ? To Learn how to format any corrupted memory stick ,First you must download Memory Stick Pro Duo Formatter Utility from the links below then follow our formatting Steps . Insert your memory stick to your computer . 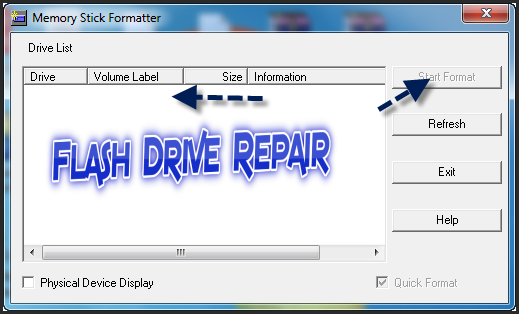 After downloading Memory Stick Pro Duo Formatter Utility software , install it in your PC . Open Memory Stick Pro Duo Formatter tool . You will find your memory stick shown in the program interface . Click on your Memory stick then click Start Format . Note that : All saved Data will be erased due to format process . Wait until finish formatting your corrupted memory stick .